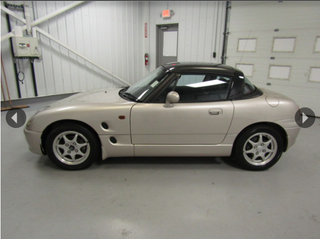 I really want to blow 11k$ on this Suzuki Cappuccino now. It’s got the same coloration as my modified Miata. It’s not as cool as the Beat and nowhere near exotic as the awesome AZ-1 but it would be the best garage companion to the Miata besides a RX-7 or an AZ-1. Sadly, I’m still saving up for the the eventual showdown between the Mazda3 and iM for automatic DD duties. Damn you, Torchinsky!